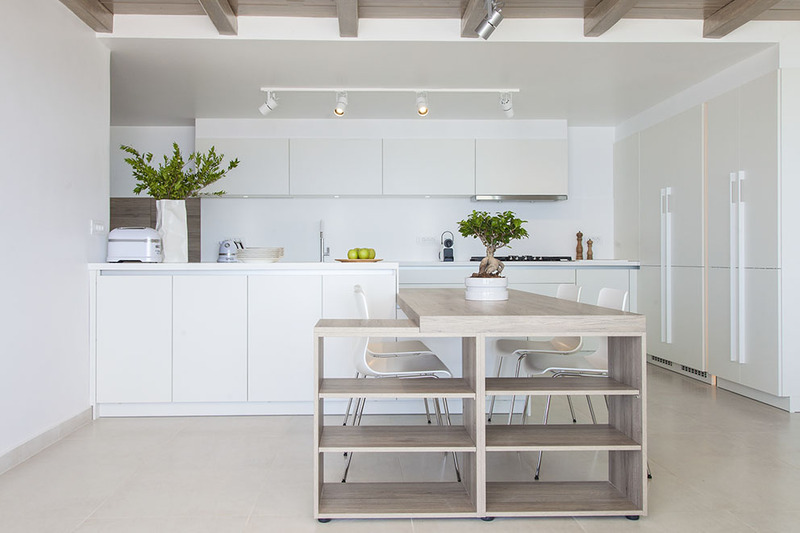 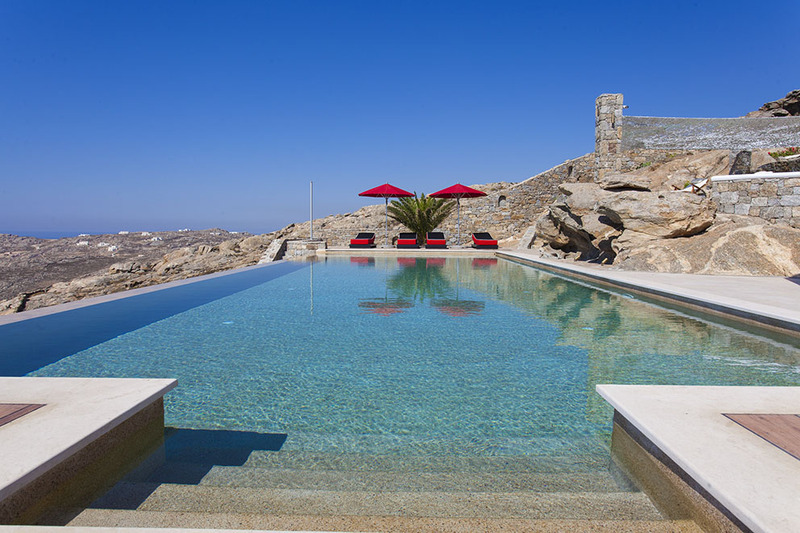 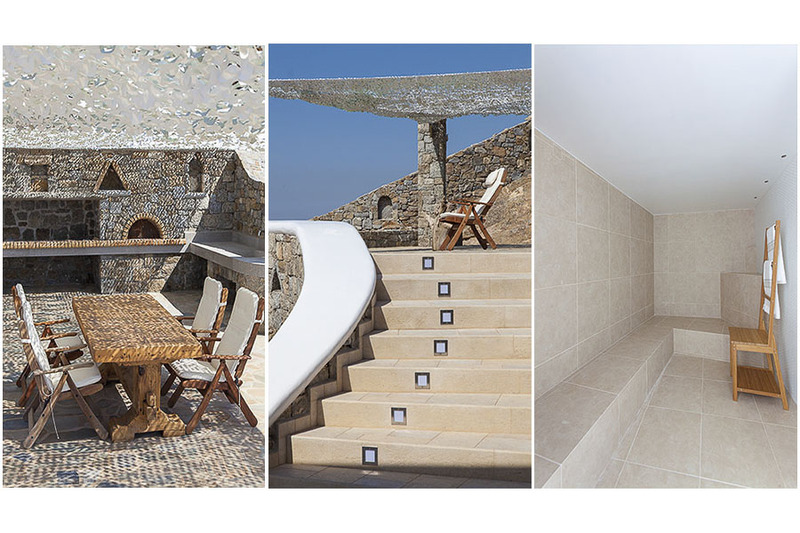 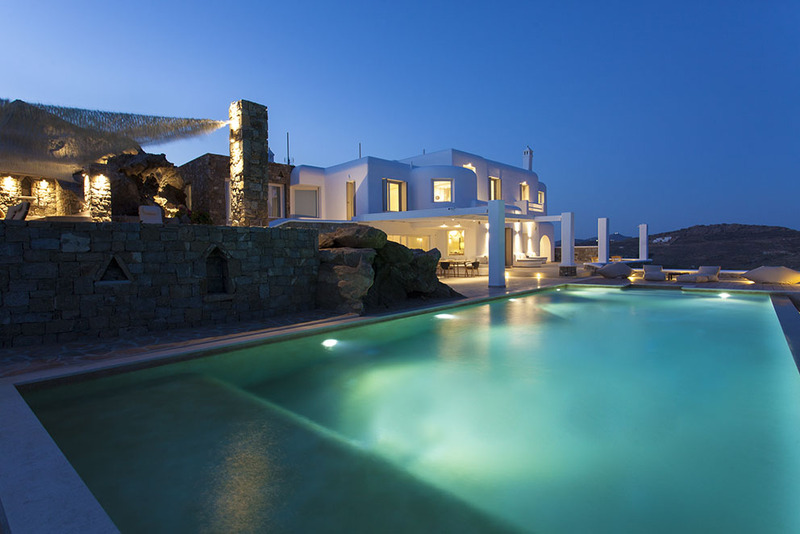 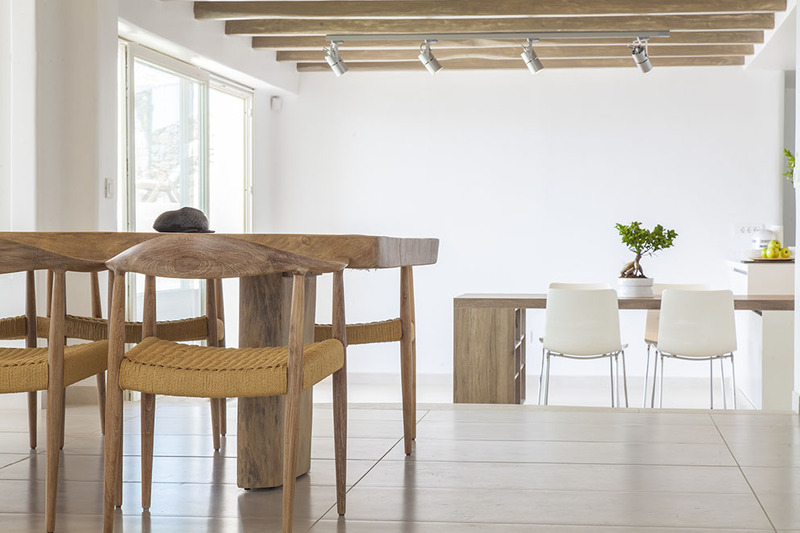 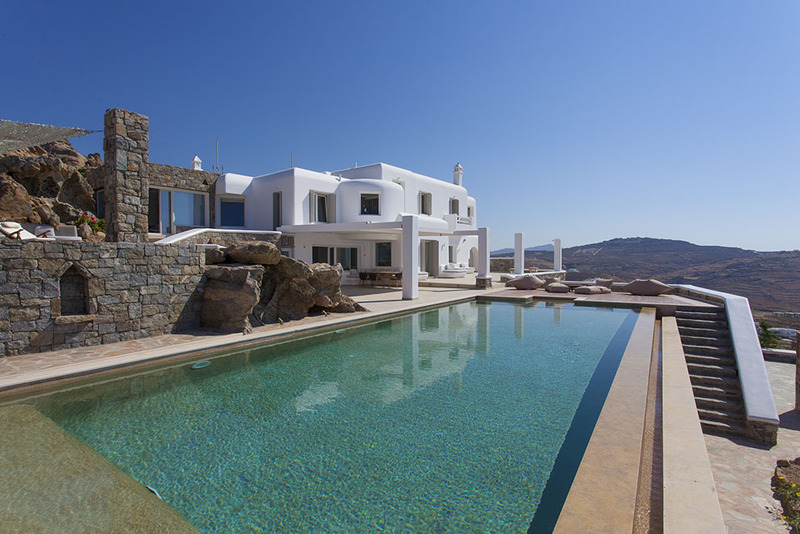 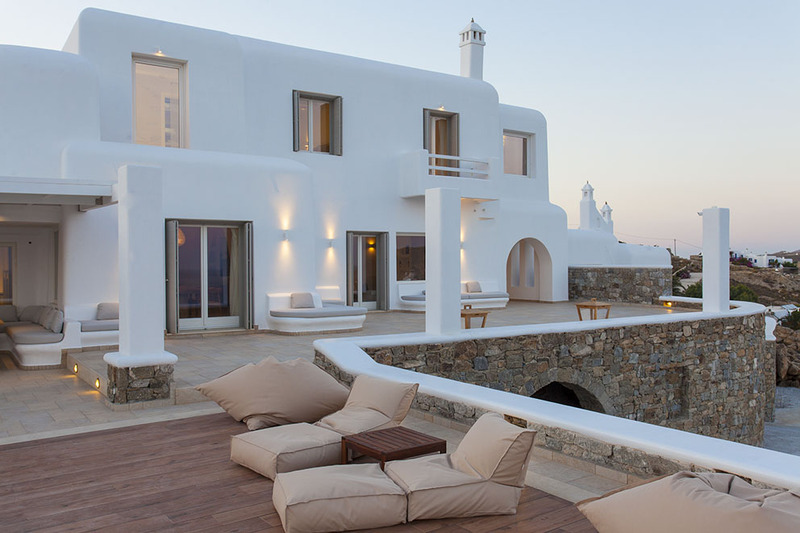 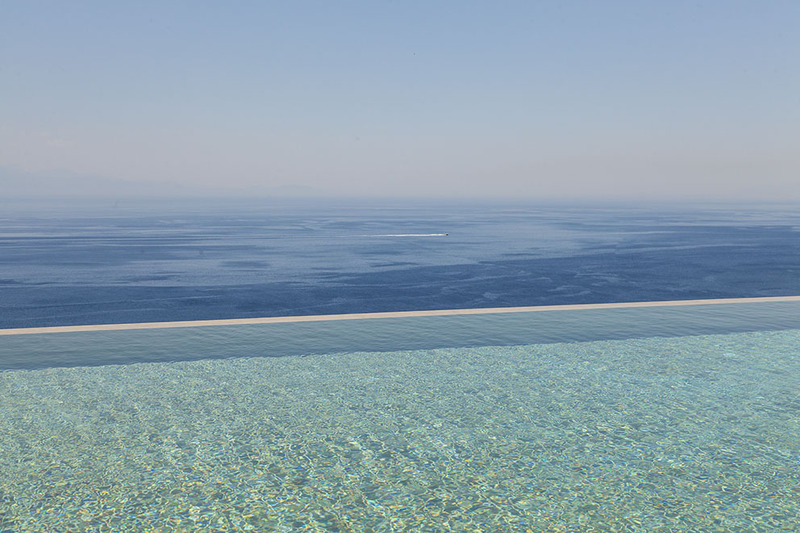 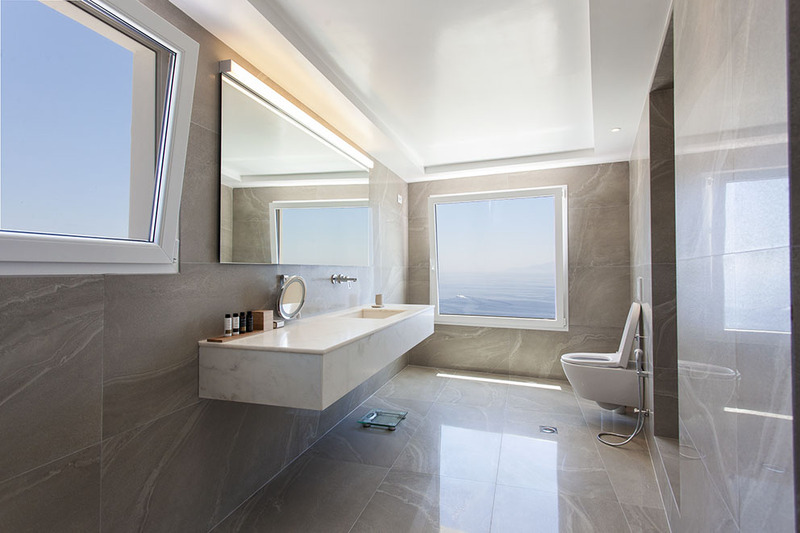 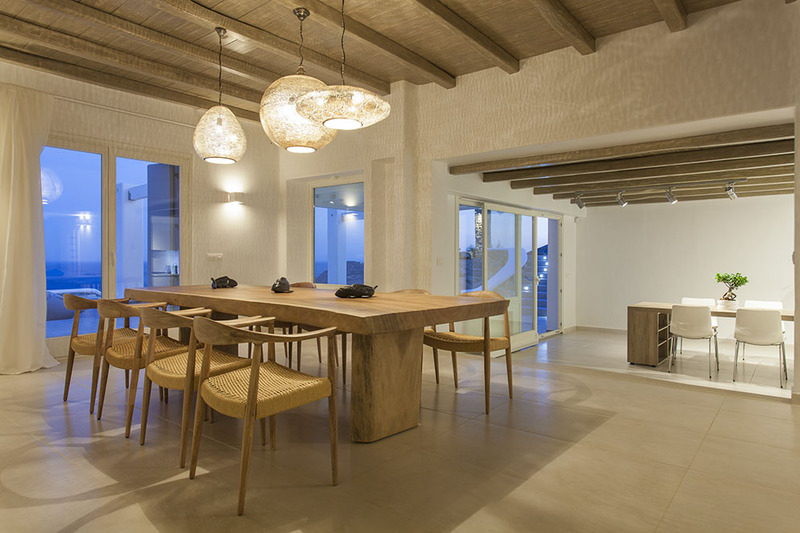 The brand new stylish villa Allure is situated uphill on the southern coast of the island and offers breathtaking panoramic view to one of the most popular beaches in Mykonos, Elia and the neighboring islands, Paros and Naxos. 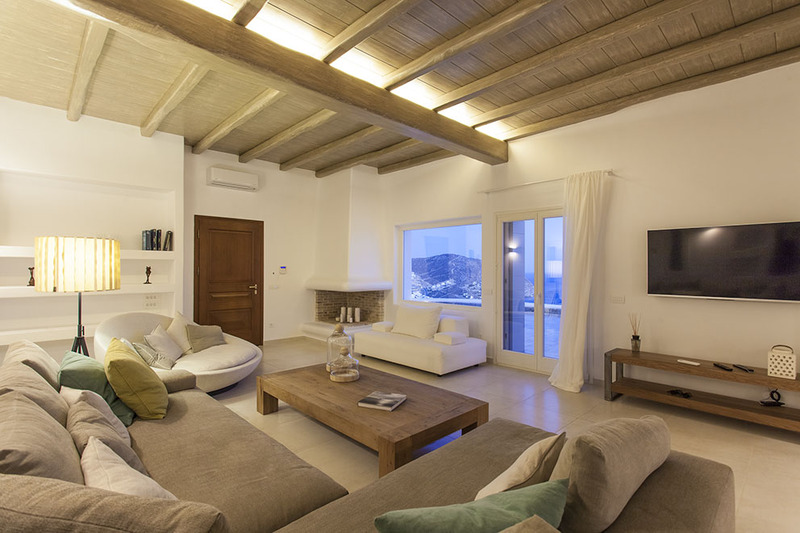 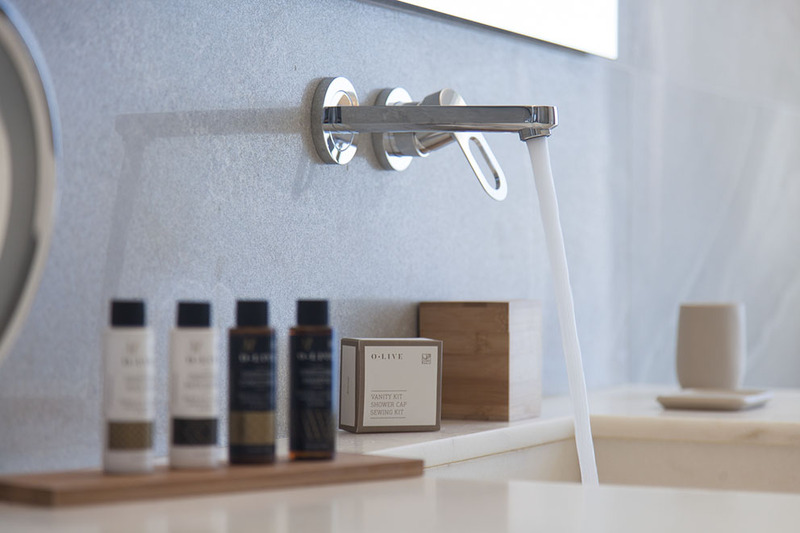 Villa Allure unfolds onto two levels and has also a separate guest house for greater independence. 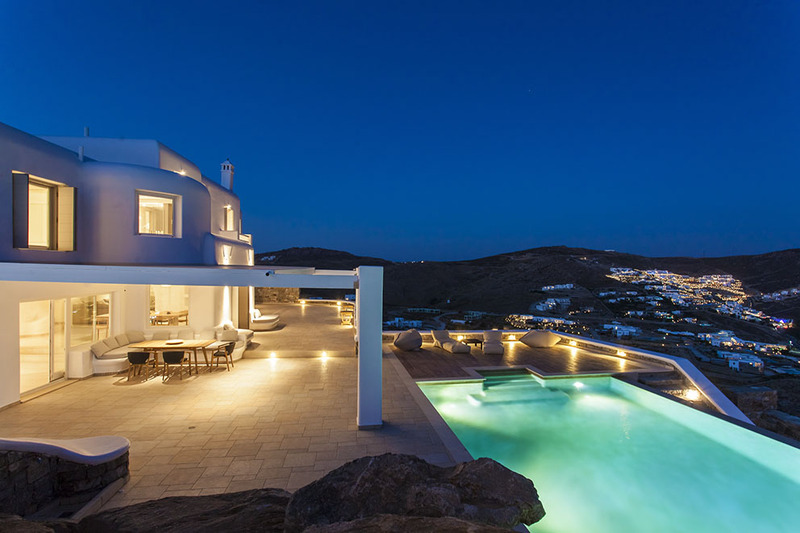 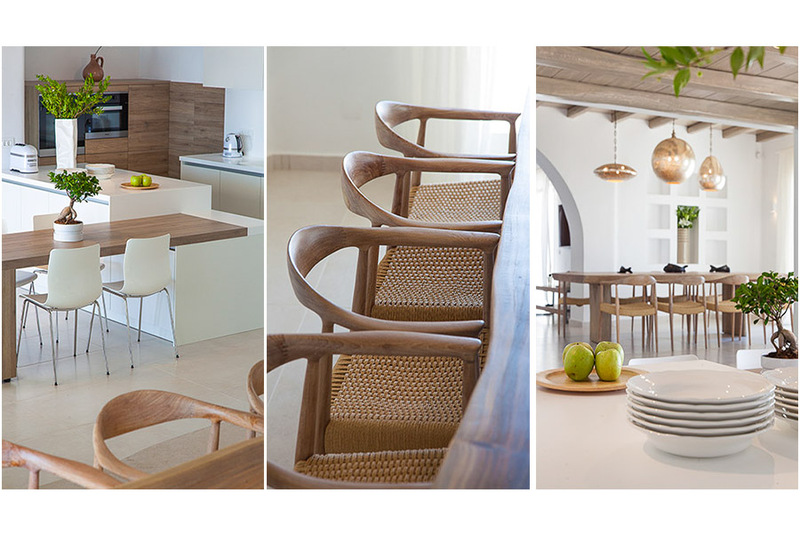 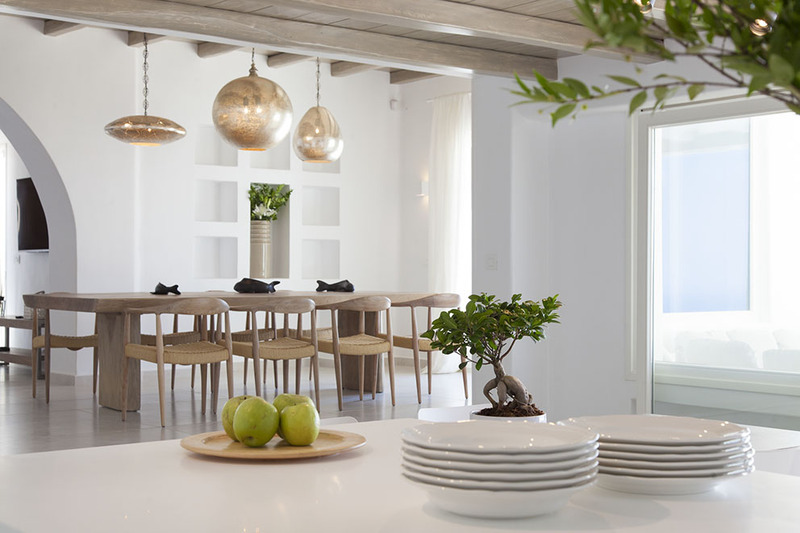 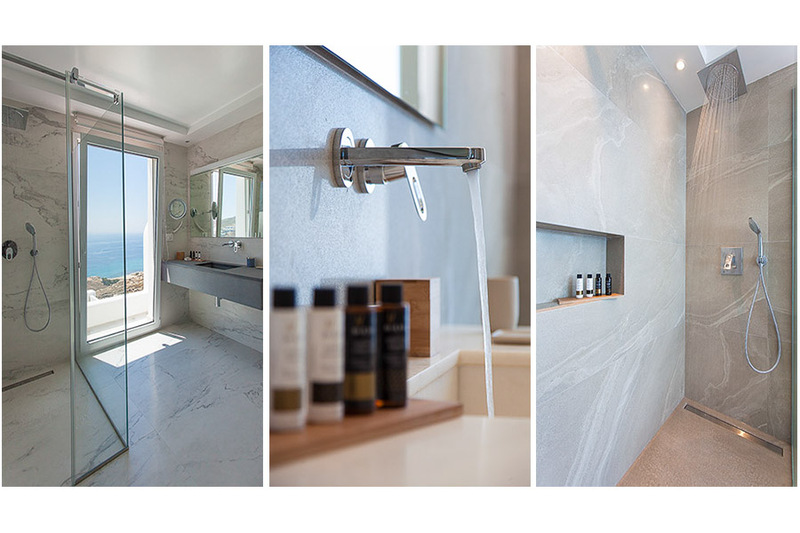 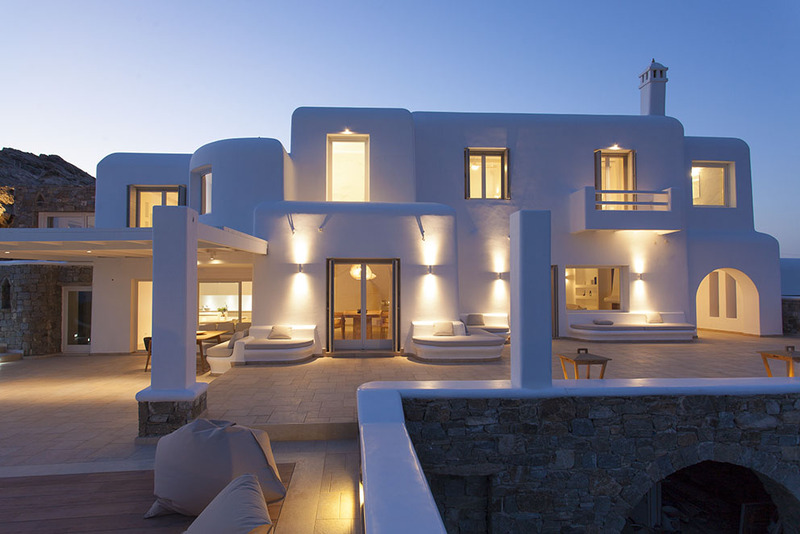 This Mykonos villa is equipped with all the necessary high quality amenities, while a true passion for interior design is revealed. 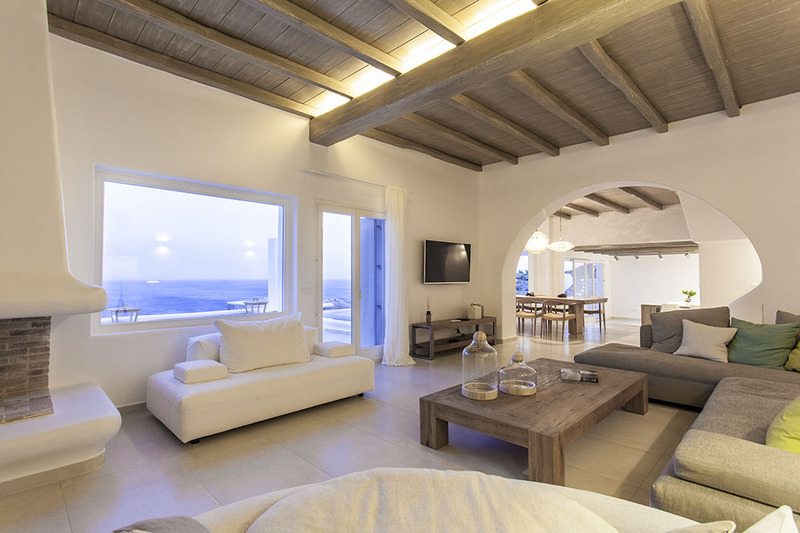 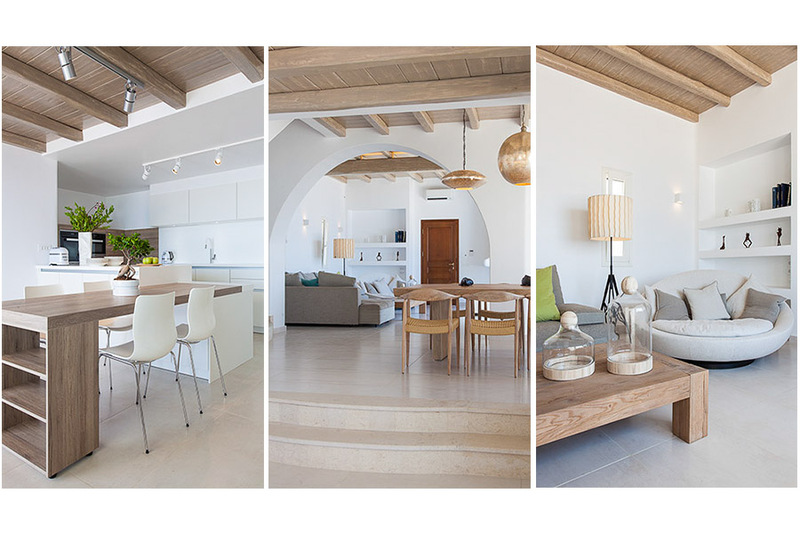 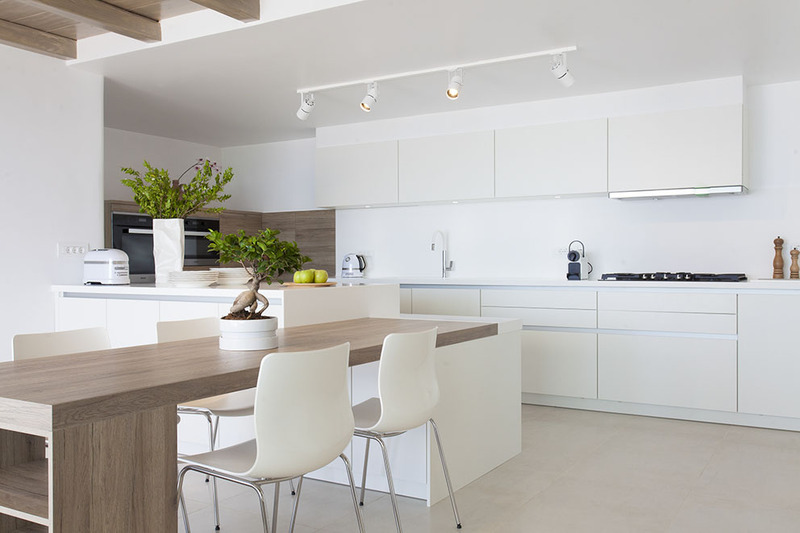 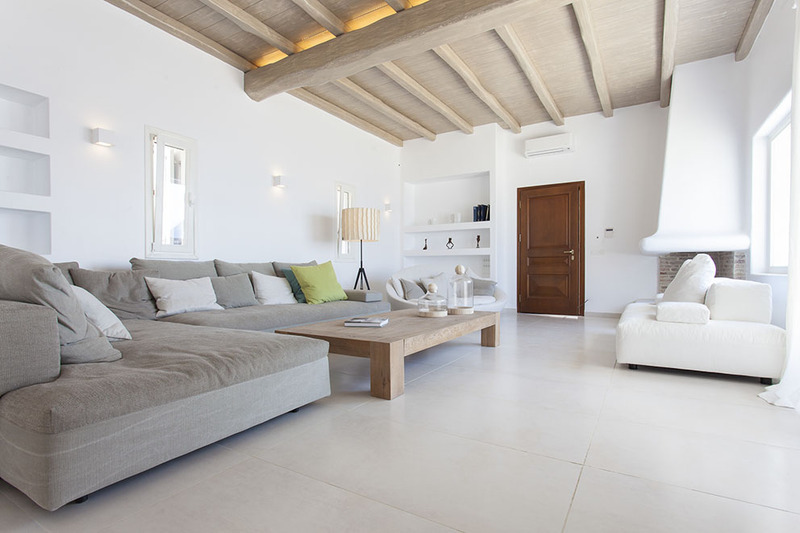 The minimalistic style prevails with elegant wooden furniture in the living and dining rooms and large window openings, while the prevailing colors are the traditional bright white and sea blue. 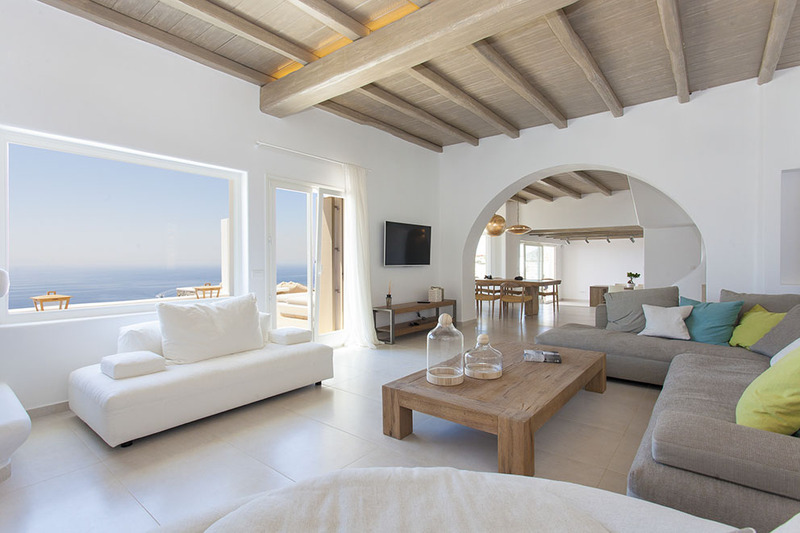 The master bedrooms will ensure premium comfort and relaxation for the guests of the villa. 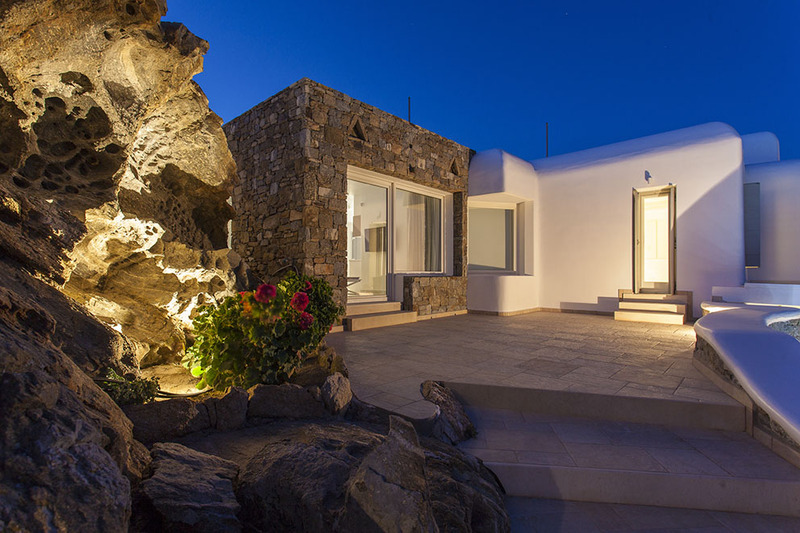 A grand terrace extends in the front part of the property, with the natural live rock gracefully preserved in some areas adding a sense of closeness to the nature. 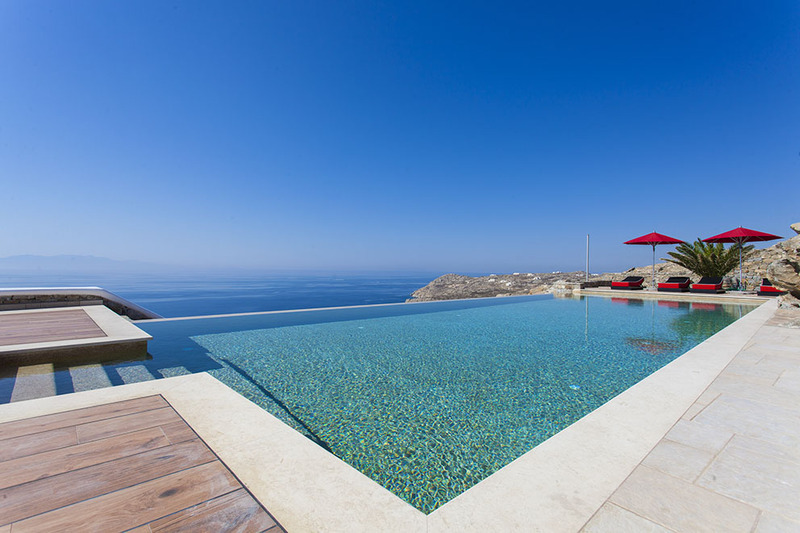 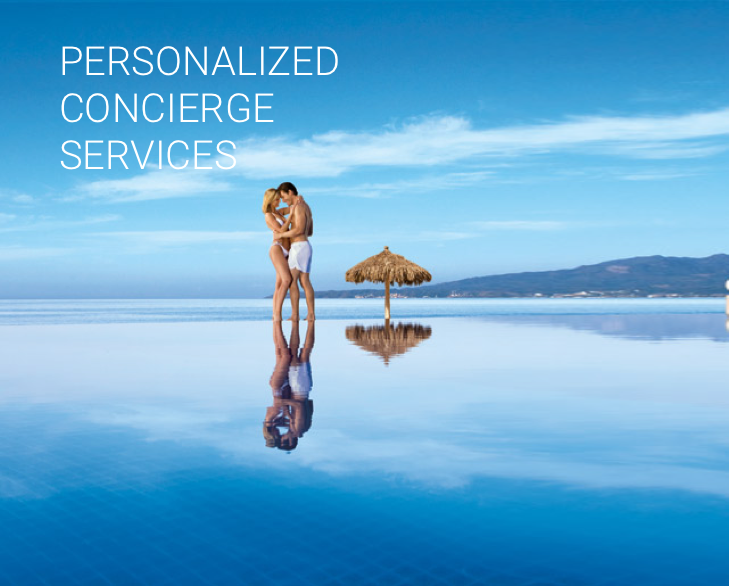 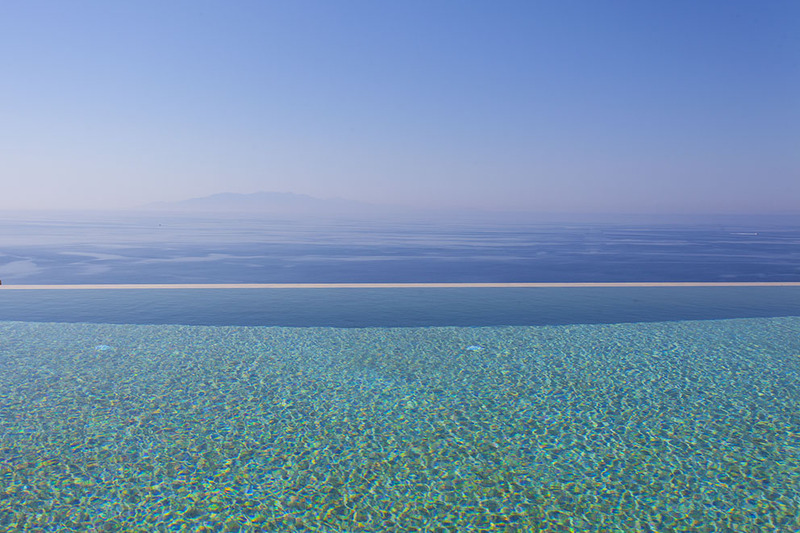 The private pool has a prominent position, with sun beds and poufs on each side in order to enjoy the sun and the exquisite view. 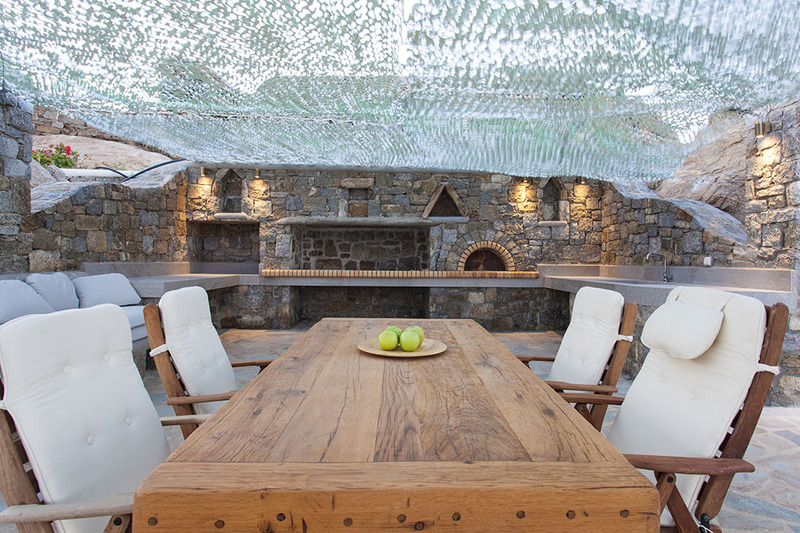 Located a few steps above and covered by military mesh, the outdoor dining area and the BBQ are ideal for gathering with friends, while the second outdoor dining area just outside the indoor kitchen can turn breakfast time into a special moment of your day. 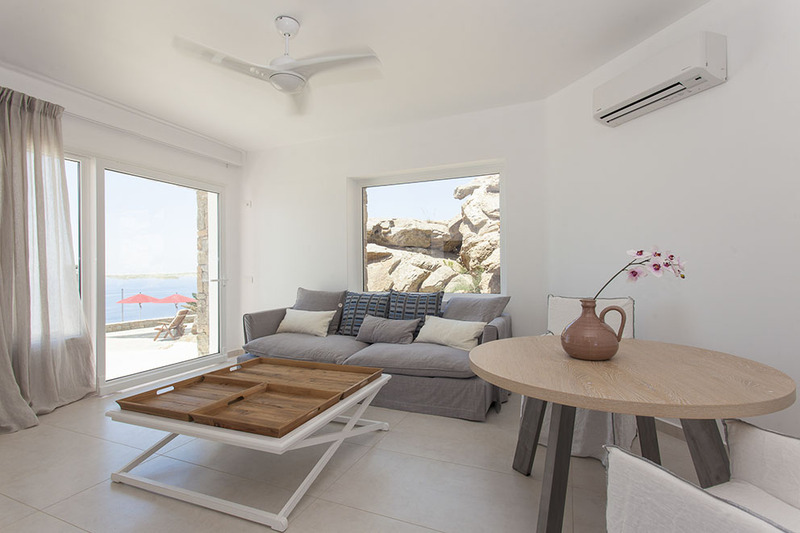 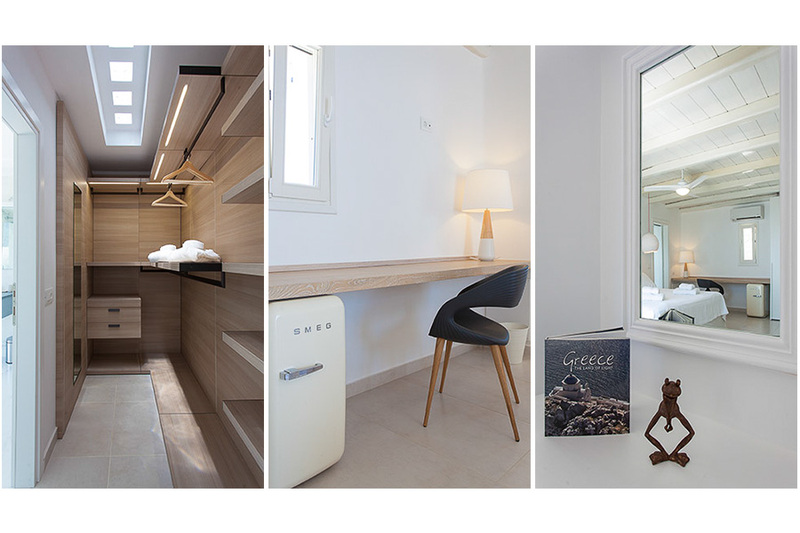 Villa Allure is the ultimate choice for guests seeking to relax and recharge their batteries in a luxurious property close to a beautiful beach, but also for those who are outgoing and active and enjoy quality food and water sports.